Everyone wants flaky pie crust and flaky scones, and the secret to flaky results is baking with cold butter. 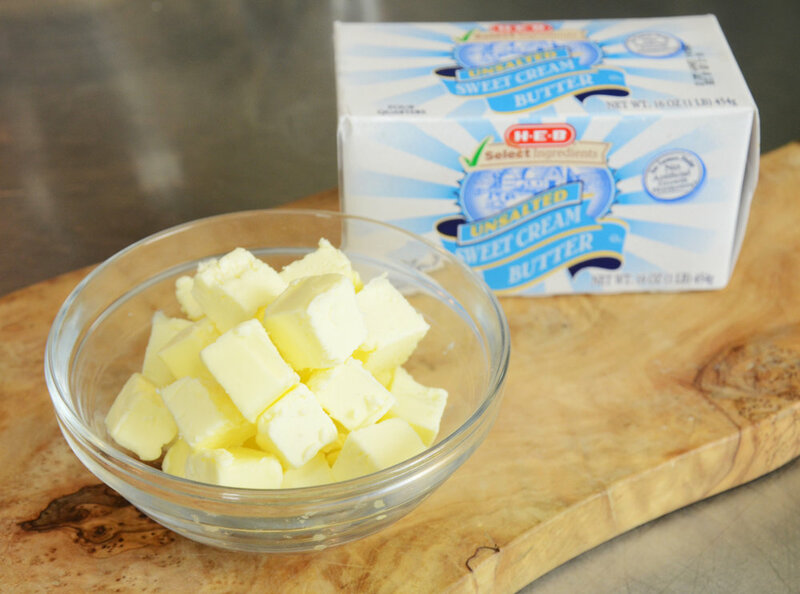 When we bake with cold butter, we are trying to disperse chunks of cold butter throughout the finished batter. When the heat of the oven hits the chunks of cold butter, the water turns to steam, lifts the batter, then evaporates and leaves a little pockets of air. When you have lots of little pockets of air distributed randomly throughout a finished batter, it creates flaky layers! Why does the butter need to be cold? Because cold fat will hold its shape longer and help support the "walls" of the little air pocket in place better than room temperature fat will. The colder the better!! For more information on baking with cold butter, what the process needs to look like, and my favorite tip, click on the video below!